We never really know where the next innovation will come from do we? This entry was posted in Humor, People and tagged Enlarged earlobes. Bookmark the permalink. 18 Responses to Hands Free! I found it so astonishingly apt that I could not resist posting it here. crazy but at least we know it’s doable ! Exactly. Proof of the pudding etc! Well, Jesus, Mary and holy St. Joseph! I do NOT like this…. I am sure that those three worthies would be scratching their heads and wondering what that ornament was all about. All over the world I should imagine Big John. 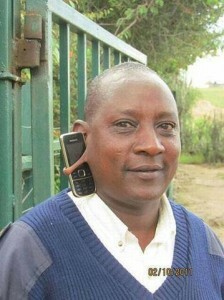 The younger generation in the US has been creating large cavaties in the earlobes by wearing discs. Now I know they were just getting ready for this. LOLOL. ouch. or gross. don’t know which one! LOLOL. Anyway, it is a bit too much for us oldies, but you never know what the young will do once they come to see the possibilities. This is practicality going too far.